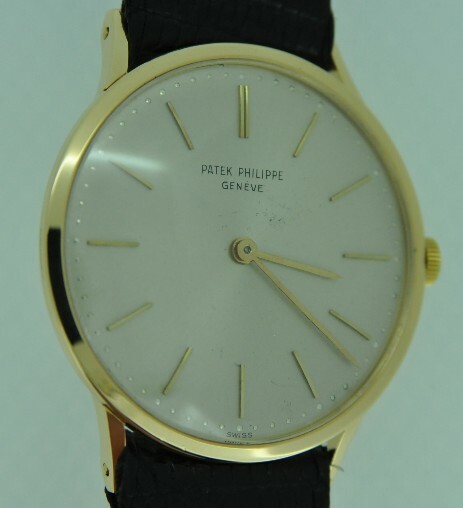 Solid 18ct Gold Patek Philippe Calatrava. ref 3484. 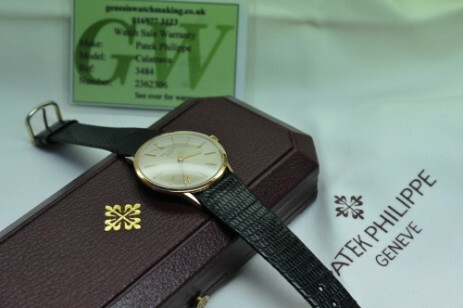 This Patek Philippe Calatrava belongs to a customer of ours who has given us authority to sell it on his behalf. The case is solid 18 carat gold - fully hall-marked as shown in the photographs. The case is in very good condition, and snaps together firmly and securely. 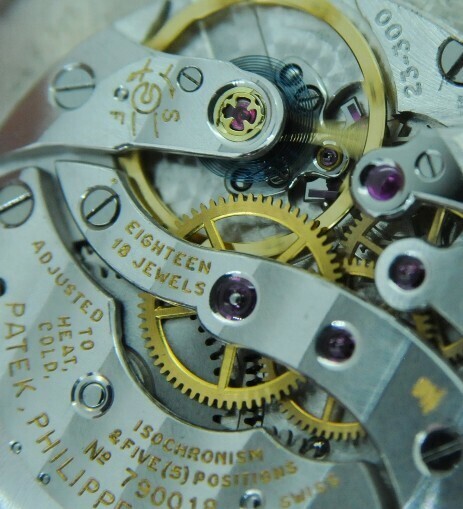 The watch is currently offered on a Hirsch lizard grain strap and does not have the original Patek Philippe buckle. It does however have genuine 18 carat gold, side-lever spring bars from the manufacturer. Ths dial and hands show some deterioration and minor marks from previous repairers, which we have tried to illustrate clearly in the images. The presentation case is not the one which the watch originally came in, although it is genuine Patek Philippe and contemporaneous with the watch. The presentation box is for sale separately for £150 as an option if the watch is also purchased. For further details of this watch sale please click on the photographs below.